Most island visitors spend their time bicycling the beach and trails close to where they are staying. This is fine, but you miss out on seeing a face of the island that most don’t know about. 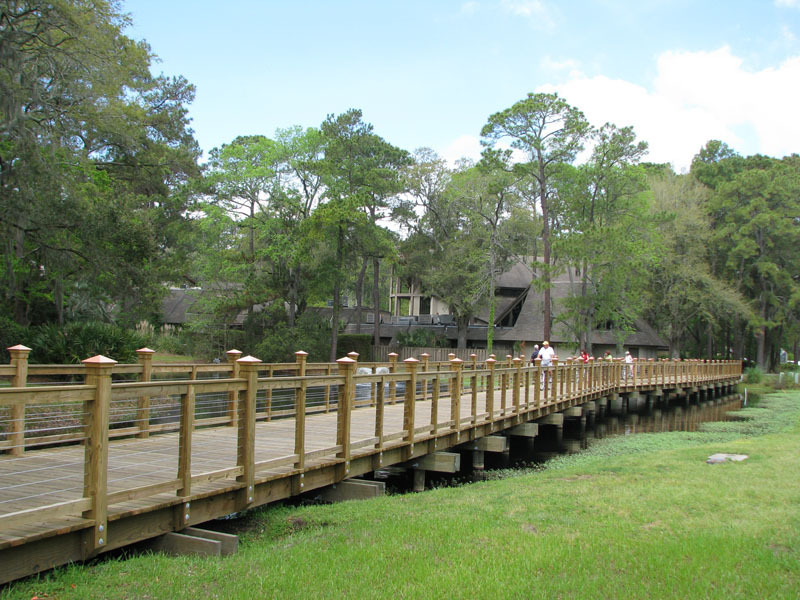 One of those trails leads to Point Comfort, which is a residential community off of Palmetto Bay Road with a park, pavillion, and great view of marsh, nearby islands, and tidal creeks. To get there one should follow the bike trail that either runs along Palmetto Bay Road, or parallels Arrow Road. Check a trail map to see how to connect to either of these from where you are staying. The attached picture of a painting by our in house artist, Stanton Allaben, depicts what awaits the biker. By the way, don’t bother trying to drive there, because there is no place to park.